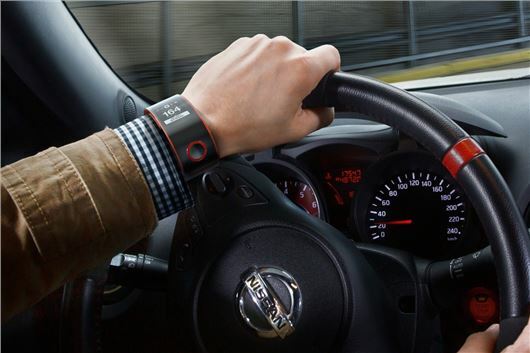 Nissan is claiming a major step forward on the road to connecting car and driver, with the launch of a new smartwatch. Designed specifically for drivers of the Nissan Nismo, the smartwatch will be capable of monitoring the performance of both the vehicle and driver. It’s hoped that the technology will pave the way for a new wave of driver biometric systems, which could provide early warnings in relation to driver fatigue. The technology could also recognise potential health problems as it monitors heart rate and body temperature. The Nismo Watch will be powered by a lithium battery and be charged by micro-USB, with a battery life of over seven days under normal usage conditions. Gareth Dunsmore of Nissan in Europe said: "Wearable technology is fast becoming the next big thing and we want to take advantage of this innovative technology. “Nissan uses the latest biometric training technologies to improve the performance of our Nissan Nismo Athletes and it is this technology we want to bring to our fans to enhance their driving experience and Nismo ownership."